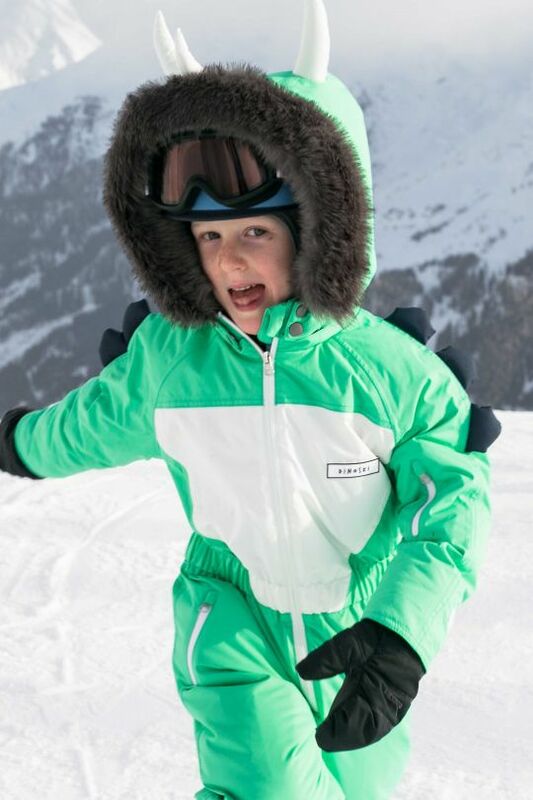 DINOSKI make unique, colourful, safety-first skiwear for children. 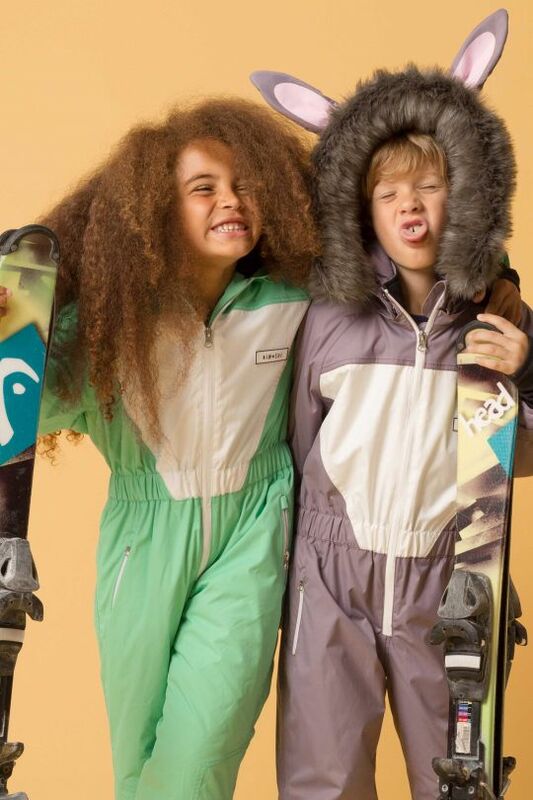 Bringing fun AND functionality to the slopes, this British brand has an innovative take that we love! As much as enjoy hitting the snow, bundling little ones up in endless gear has not been a highlight for parent or child. We’re all set for that to change! 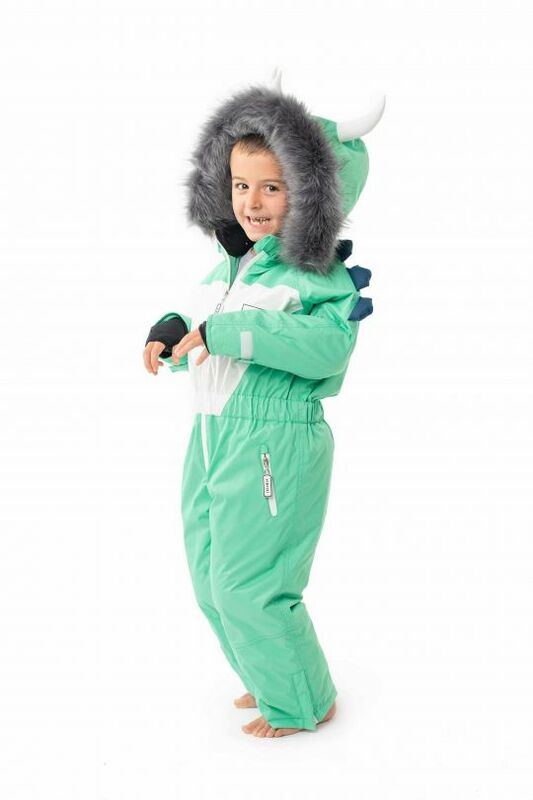 The clever team behind DINOSKI realised that kids’ snow gear is, frankly, boring, and that when a little fun is added it can bring extra benefits. They know how important it is to be able to easily spot your kids on the slopes and they also know how much kids love dressing up. Enter colour and character! They designed a series of all-in-one animal-themed ski-suits! Waterproof and warm, these suits might be created with safety and comfort top of mind, but there is much more to the story. Each suit is a unique, distinct design; a cross between a super hero and an animal! DINOSKI worked with children’s illustrator Jane Foster to create a character and story for each suit design. 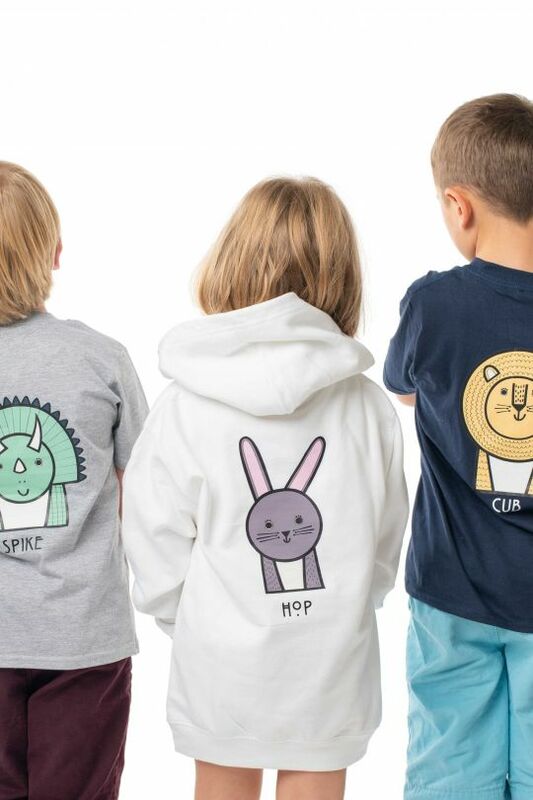 These warm outerwear items are your little one’s newest best friends, ready to accompany them on their outdoors adventures. Each suit comes with an accompanying storybook to inspire a little extra magic and connection. There is also a t-shirt and jumper available, for keeping friends close back at the chalet. 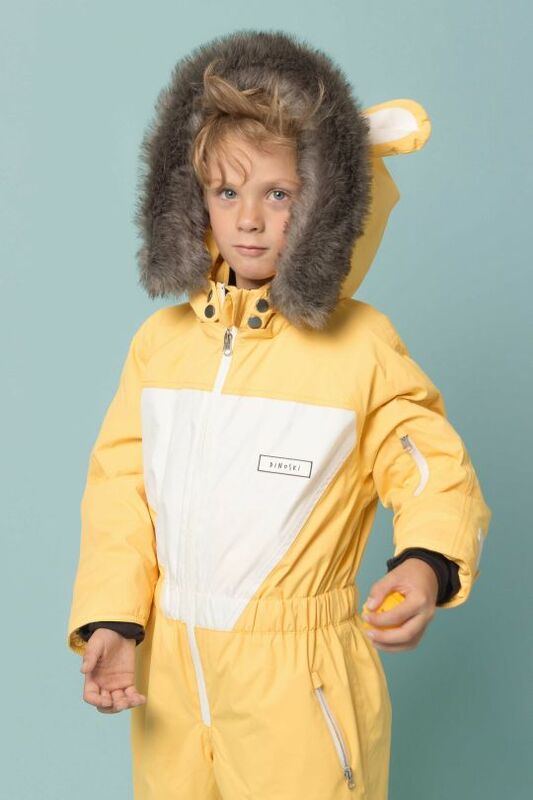 Available for ages 2 – 7, all suits are unisex, made for comfort and designed to stand up the rigours of the slopes with 5K waterproofing, microfiber insulation, anti-stain coating and aqua seal zips. The skiwear has breathable lining and outer fabric, quick dry spandex thumb mitts, inner boot covers and outer boot leg zips. 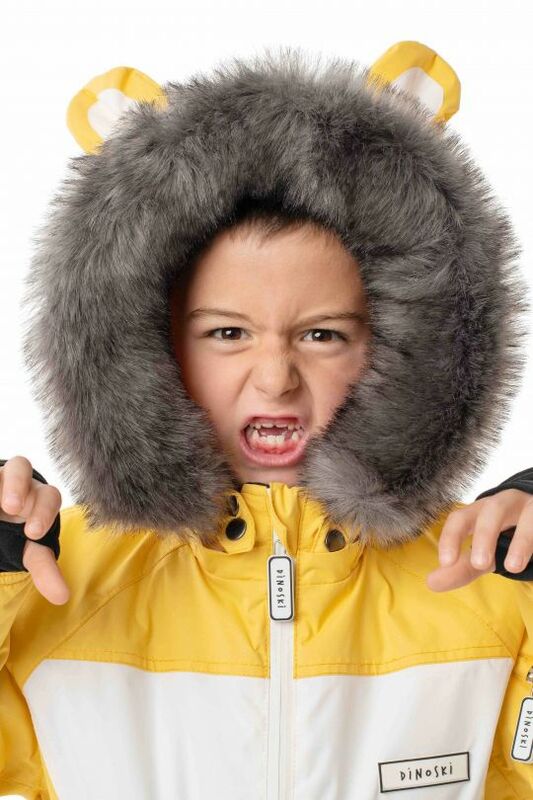 The faux fur trim is removable, and the adjustable hood can be worn with or without a helmet. How perfect!